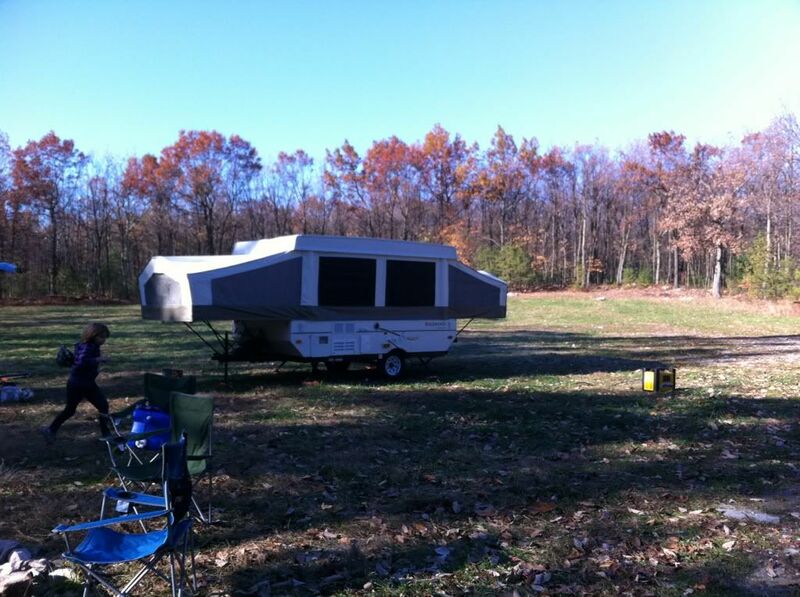 Discussion in 'Boondocking' started by sebring96hbg, Nov 2, 2011. It's supposed to be a relatively nice weekend coming up; so, I have a free permit to camp at Michaux State Forest. 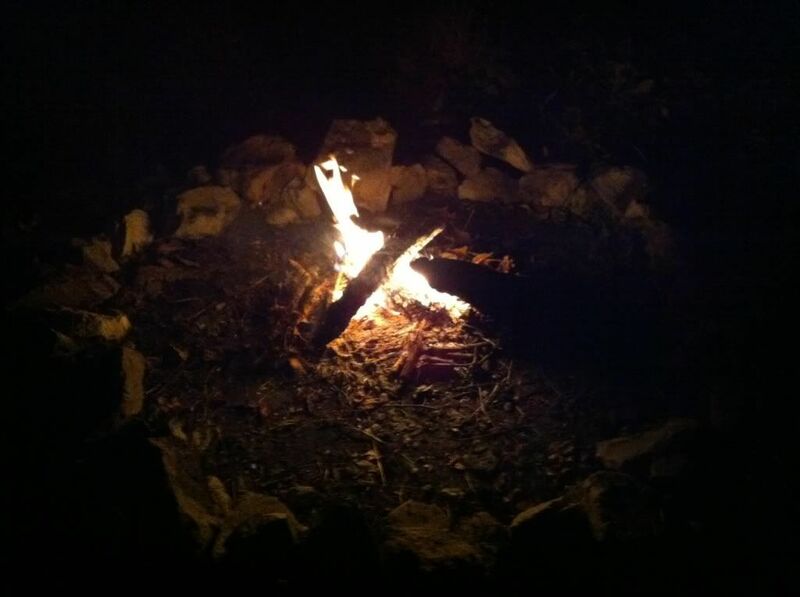 I do have permission to have a camp fire. This will be a NTU experience. I plan to follow up with pictures. This will be the Halloween camping make-up due to last weekend's snow. Have a great time! Look forward to the pictures. 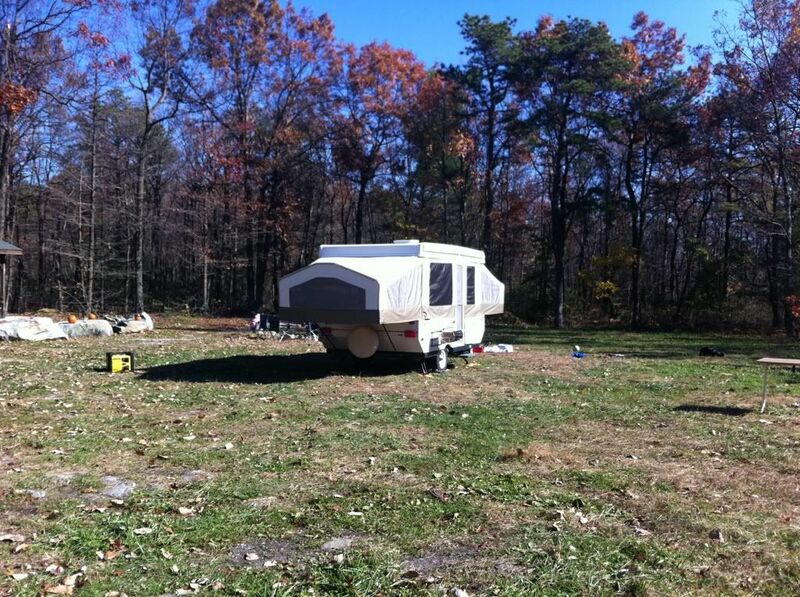 I would love to go boondocking in PA but I am limited by a 2wd TV. I have taken 2wd vehicle "off road" to an extent but only on roads I have been on before. I won't do it on a road I have never been on. I would love to see the pictures next week. Have a blast.....and remember those pics. A 4WD TV is on my list for the future. There are a lot of "improved" dirt roads and unimproved dirt roads over which a 4WD may prove beneficial. 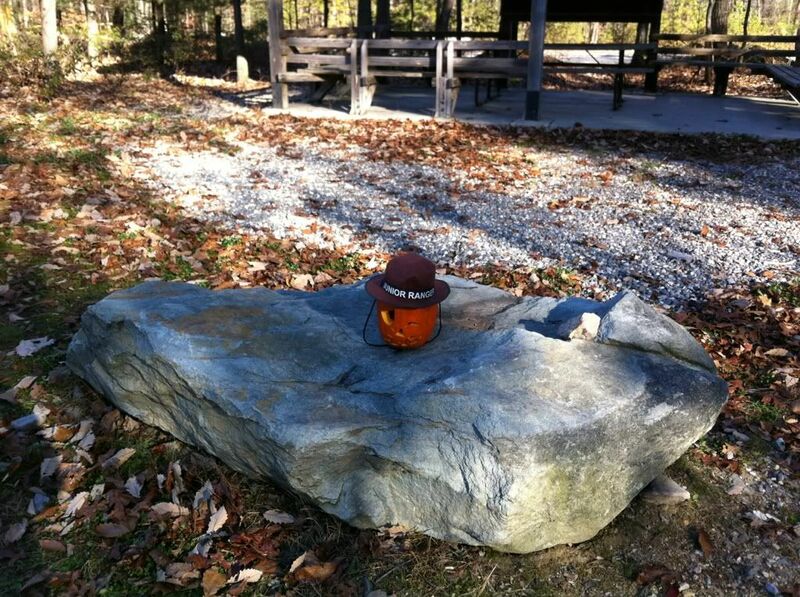 We went to the Piney Mountain ATV Trailhead campsite in Michaux State Forest. We left early as one of the kids developed a fever. 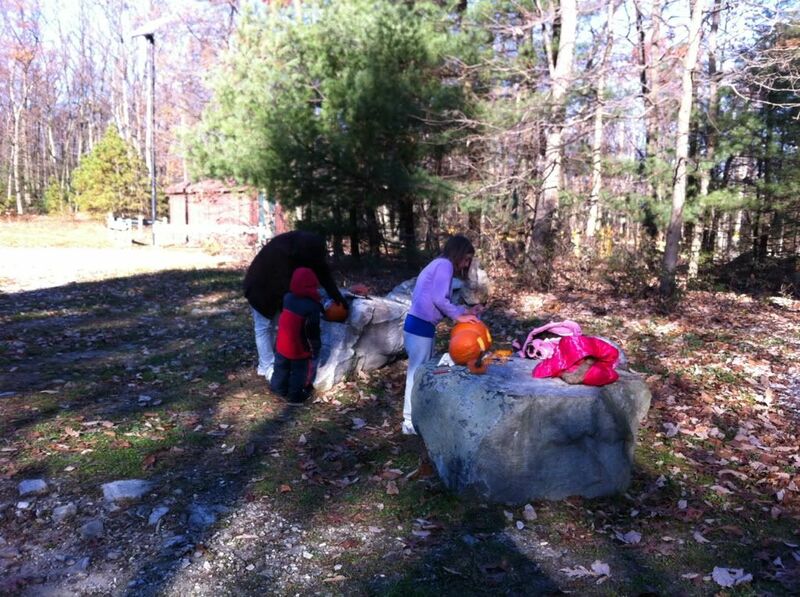 But, we still got in some pumpkin carving and some play. 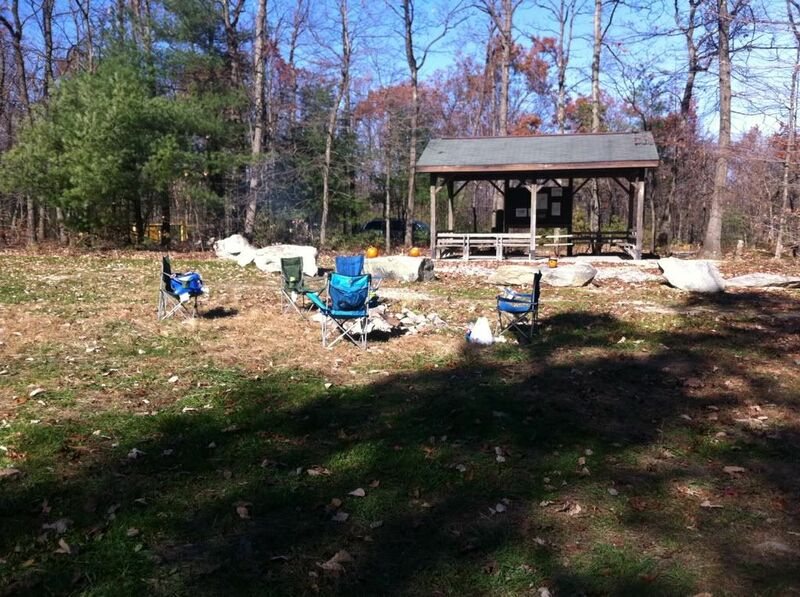 This campsite appears to be at or near the top of Piney Mountain. 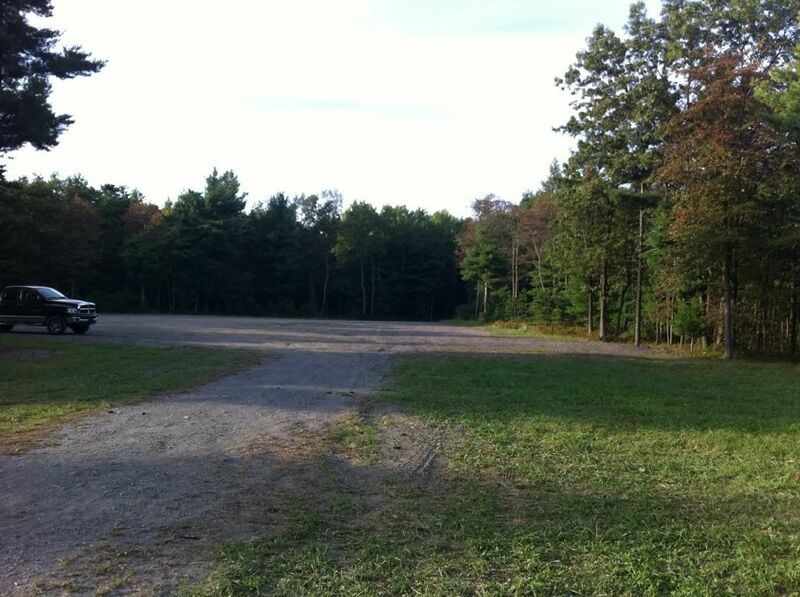 Before reaching the campsite, there is a large gravel parking lot for the ATV trailhead. 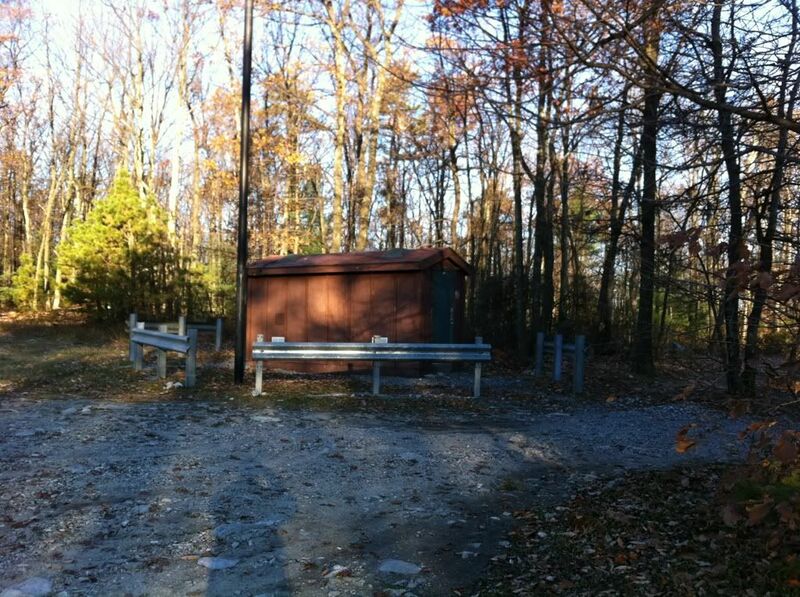 The trailhead is bounded by the paved Benderville Road and Piney Mountain Road - an unimproved dirt road. There was infrequent traffic during the over night hours, likely hunters. 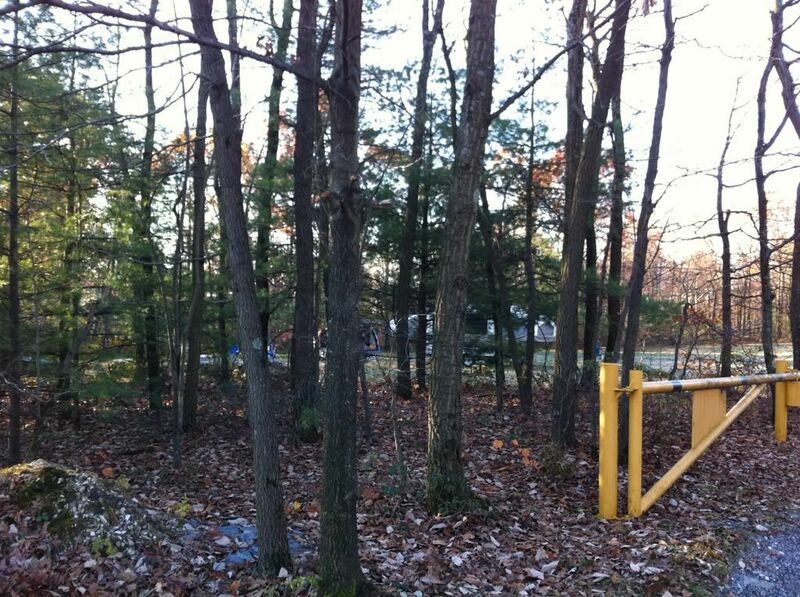 I found online a map with over 23 Michaux campsites, many of which are gated. 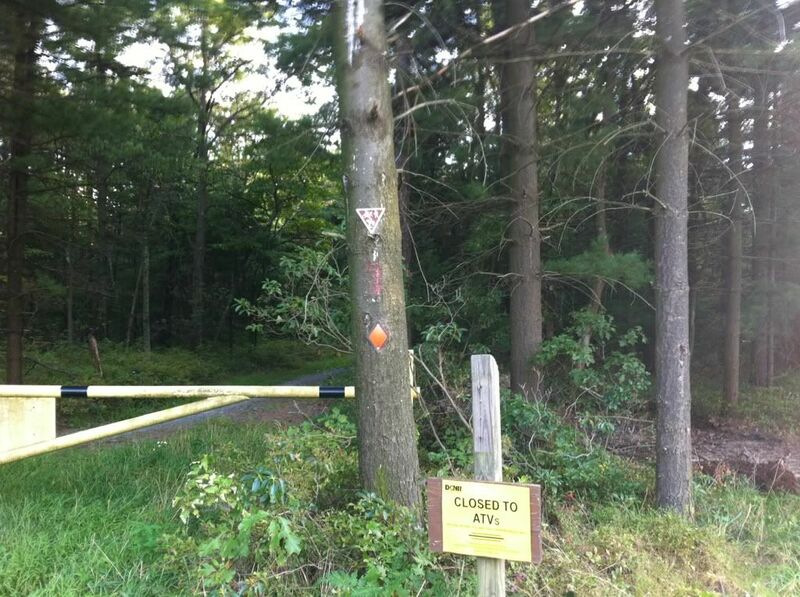 Because people did not return the locks, the Michaux Forest Office stopped allowing vehicle access to the gated campsites. A forest ranger who told me this also said that there are four gated campsites that may be accessible after having signed a use agreement. We enjoyed clear skies with light, if any, wind. My son forgot his pirate hat. Avast ye! It's the Jolly Ranger! View from front, right corner in front of the "facilities"
View from the Campsite gate. There are many stone fire rings scattered along the perimeter of the campsite. There are also six horse posts. Fire Ring and Trailhead Pavilion. 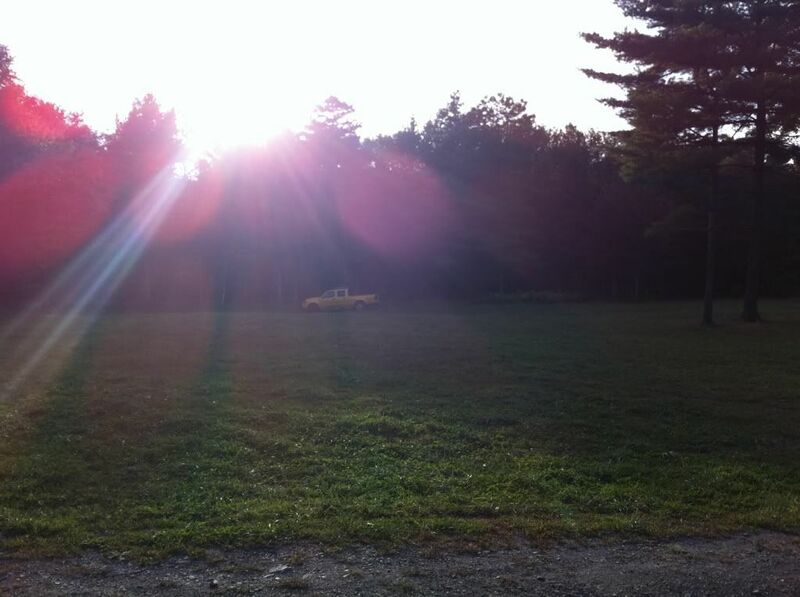 The large gravel parking lot is beyond the tree line. There is a pup in this picture, really! Despite the side mounted grill, we cooked our hot dogs here. We used Enviro-Logs. 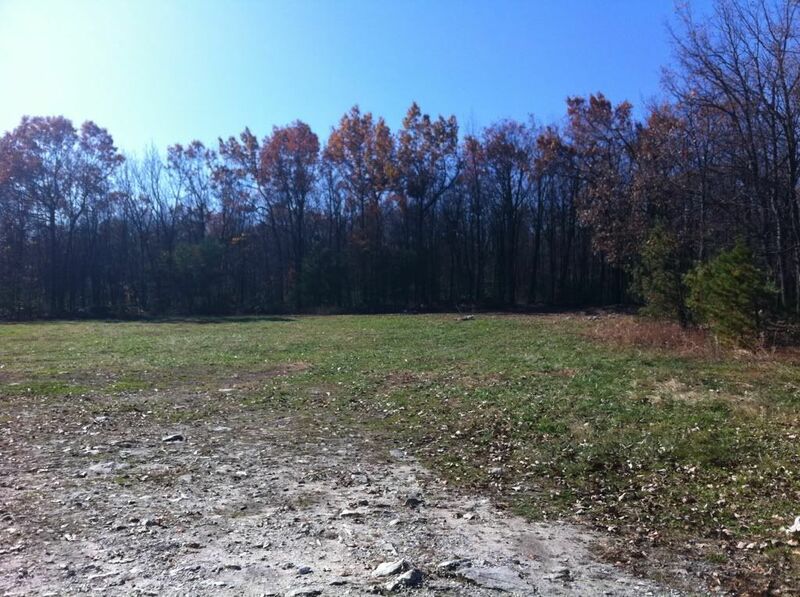 Our plan is to scout future sites in Michaux and Weiser State Forests. 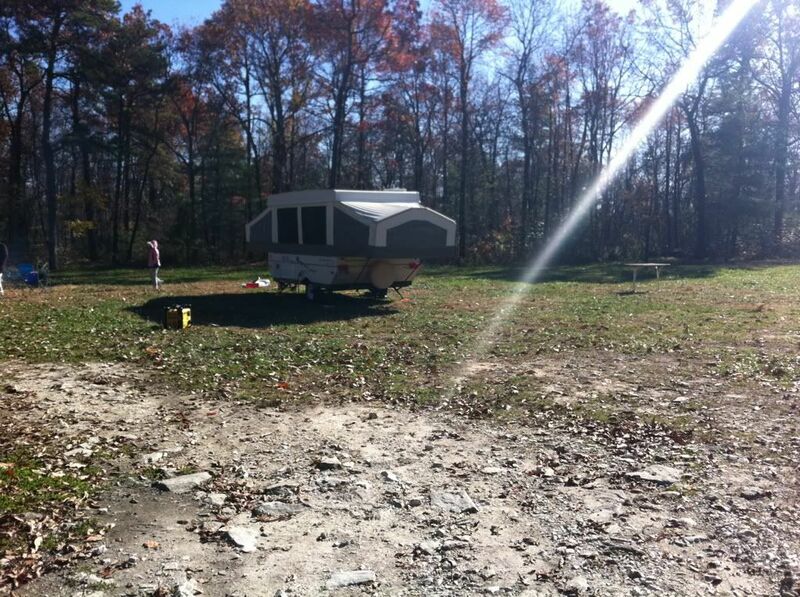 The kids had fun; but, at first wondered where are the other campsites. Ha ha! This was certainly nice for being free. Drag map image to left to reveal green arrow showing campsite location. going to add this to my list of places to check out. under 2hrs from my home! Very nice photos! This is exactly the kind of enviroment we are looking for: primitive and off the beaten track. If it's more "off-road" type access, we can tow with our 4x4 Ford Ranger instead of the Dodge Ram van. We towed with our Chrysler Town & Country minivan to this spot. 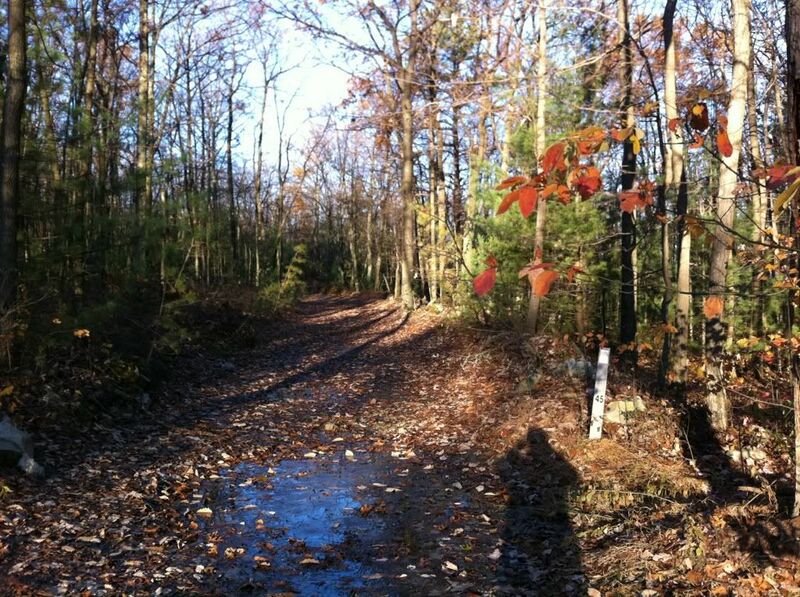 Yes, there are plenty of dirt roads and old logging roads. I stayed on asphalt or level ground as a rule this past weekend. We stopped by the forest campsite and saw it was being used. 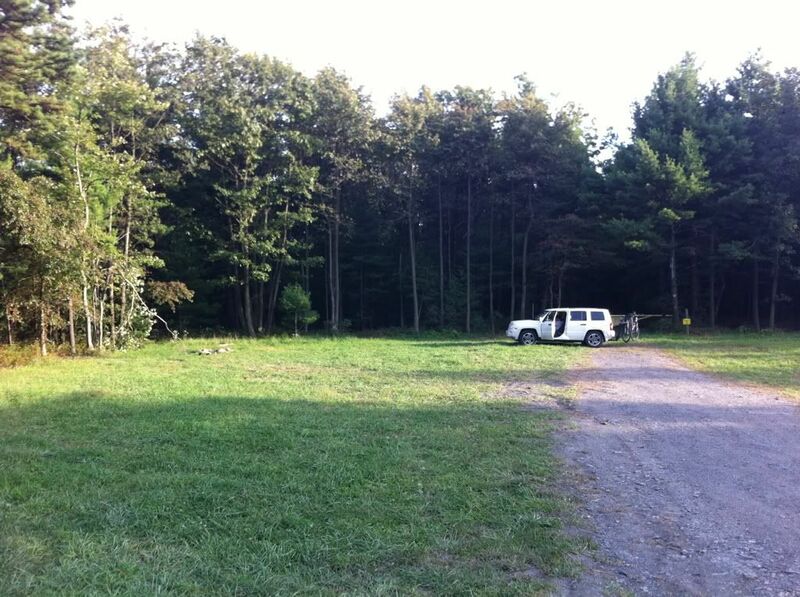 We then checked out the campsite at Flat Rock which is by equestrian and mountain biking trails. Flat Rock is off Shippensburg Rd. I see I'm 8 years late to this thread, but just wanted to thank you for this information and pictures. This will be our first try at boondocking. I was able to reach a very kind Ranger, Ann, at (717) 352-2211, who asked me for my email address and is sending me information. Wanted to share that for anyone else who comes across this post in a future search. Thanks again.